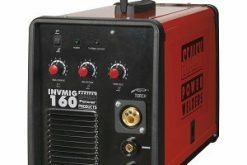 Inverter power supply fitted with plasma cutter control circuitry. 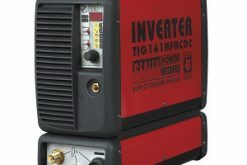 Inverter features three LED information panel including torch under-voltage, air fault, general fault (thermostat, over/under-voltage, over-current) and power on. Supplied with plasma torch and earth cable. Uses air to strike arc making it suitable for use near electrical equipment. Ideal for cutting steel, stainless, galvanized steel, aluminium, copper and brass. Includes integral air filter and regulator unit with panel-mounted pressure gauge.